Sunday morning, again! This week the NLDI-course has kept us busy. NLDI is short for Nordic Leadership Development Institute, and that is a two year long Leadership training program. The participants meet one week every semester and the rest of the time the studies are made over internet. The participants come from Denmark, Norway, Finland, Estonia, Latvia, Eastern Europe Territory and Romania. Ruth is in the Staff for the Institute and during this week Ruth and myself have been teaching "Deeper Spititual Life". Wednesday evening the participants took part in the evening meeting at Riga Second Corps. 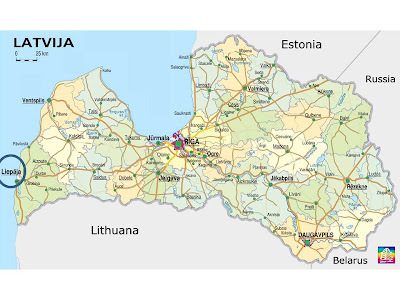 We are now opening two new Corps Plantings in Latvia. One at the School for Officers´ Training in Agenskalns, Riga, and the other one in Saldus, one and a half hours drive west of Riga. 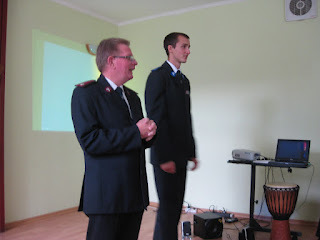 Last Sunday the Corps planting in Riga had it´s first meeting, more or less unplanned. 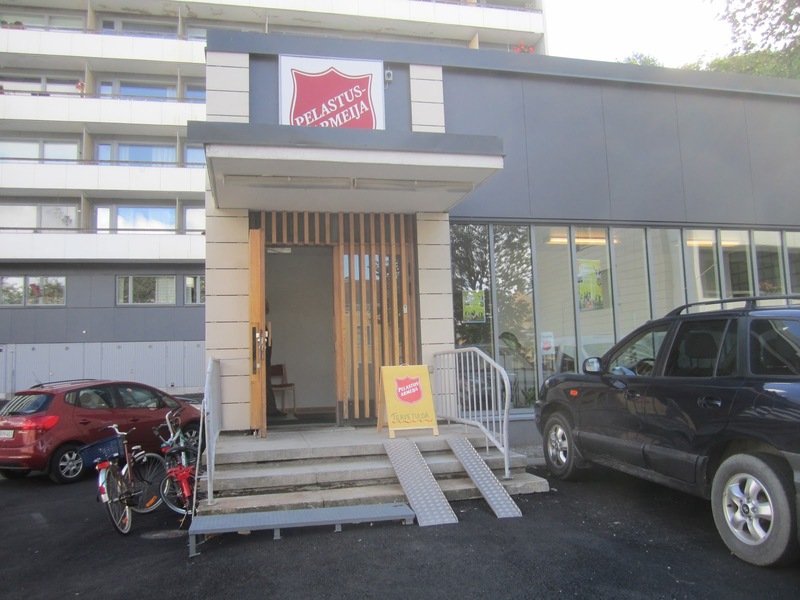 During last week they invited the neighbours to "Open House" and some of the guests asked the Salvation Army to start services in the neighbourhood. So a meeting was arranged and 21 people came the first Sunday. Today (Sunday) we will go to Saldus for the Official Openinge av the Corps Planting there. We do not have any facilities in Saldus yet, so the starting meeting will be an open air meeting. 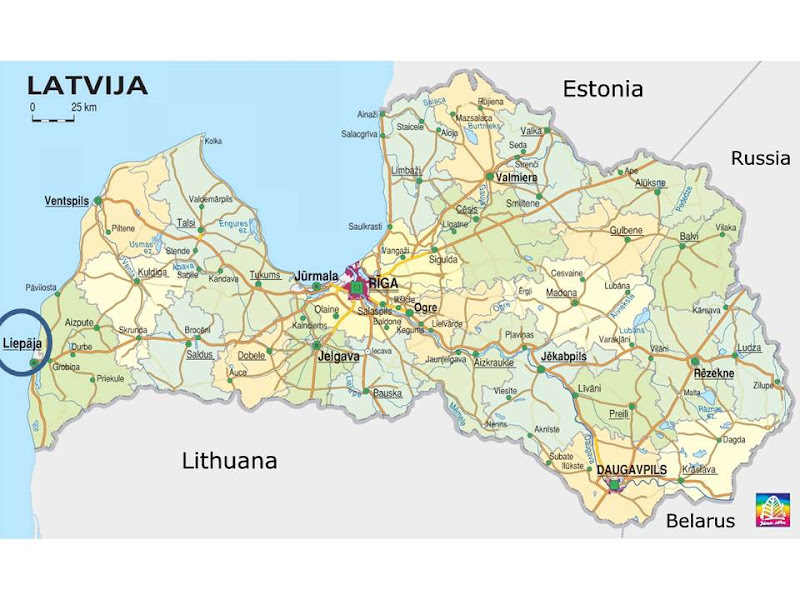 After the opening in Saldus we will continue to Liepaja on the west coast of Latvia for an afternoon meeting with junior soldiers enrolment. And then, another week. Next Saturday we will have the twenty years anniversary at Iecava Corps. Four years ago two well respected and valued friends of many years, Lts. 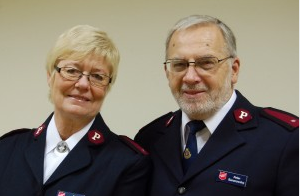 Peter and Ruth Baronowsky, accepted the appointment as Regional Commanders of the Salvation Army's work in Latvia, one the 'Baltic' states. It was their enthusiastic description of the challenges facing them that caused my wife Glad and me to get caught up in the ministry opportunities there and that resulted in our ninth mission visit there just a few weeks ago, all in the space of 4 years. 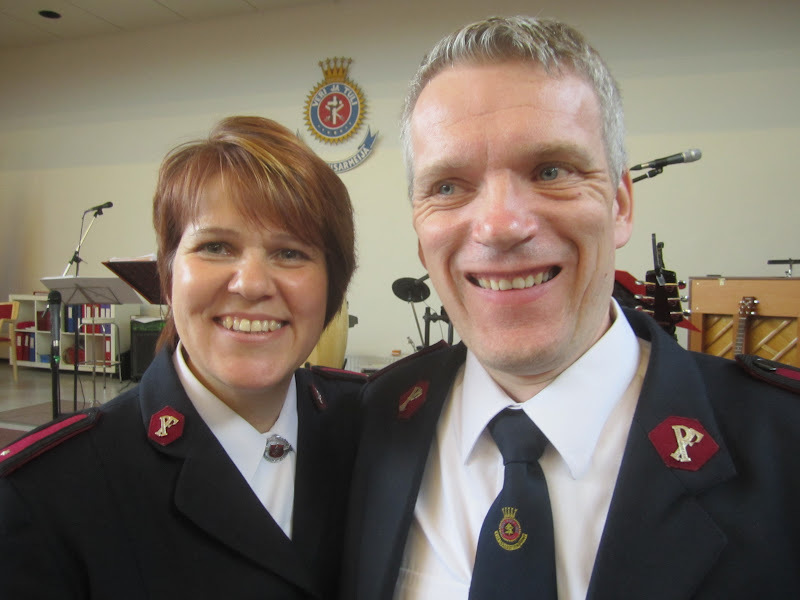 Both Peter and Ruth are well known expositors of the Word and travel regularly to conduct Bible study seminars, leadership training, and much more in the Scandinavian countries and beyond. On my first visit to Latvia Ruth shared with me a copy of her newly published book in Swedish of daily devotionals. 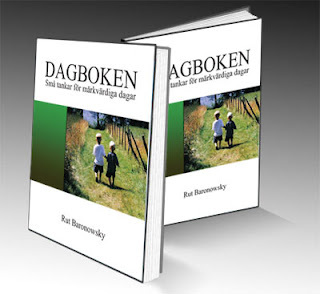 Knowing that I had recently cut back on my teaching commitments Ruth asked if I'd consider translating the book into English in order that it be uploaded daily for Peter's very well constructed and far reaching blog; www.rupeba.se. And so began a 365 day journey into Ruth's mind and spirit, and a daily late evening e-mail to Riga, Latvia. Just a few weeks ago Peter informed that the book was to be published for distribution in English, and I asked if I might have the opportunity to read through my original translation, and without being 'chained' to the original Swedish text; loosen the structure a bit, moving from a very rigid and formal style to a more fluid and congenial pattern. I'm completing the revisions to month ten - October- today, with the remaining months on my desk to be sent to Riga by next week. The book, Simple Musings will be available for purchase just in time for Christmas! It's the ideal present- your friends will remember you each day as they pick the book up to replenish and give themselves spiritual food and manna for the day. It's also ideal for those who have not yet established a daily pattern of family devotions. And not least, the moneys raised through the sale of the book will support the work and ministry of two Godly servants working in a vineyard far from home and family. Philip Keller tells in his meditation on the 23rd Psalm about a ewe that was an especially beautiful sheep, with a strong physical presence, a superb coat, a lovely face and pretty eyes. She delivered solid lambs that grew quickly. But in spite of all this she had one serious problem. She was restless and unhappy. She often tried to crawl under the fence to freedom. Regardless of how good the food was that the shepherd prepared for her, she wanted to get to the other side. The serious problem was that this ewe taught her lambs to do the same thing and she was a poor example for the other sheep. Finally Keller had to, as a shepherd for the flock, put down the beautiful ewe, even though it was a difficult decision to make, because Keller loved his ewe just as much as the other sheep. God wants us as Christians to be satisfied with the enormous care the Lord, our Shepherd bestows. He wants us to understand, just as David did, that when the Lord is our Shepherd there’s nothing we shall want. His reward is when the sheep are satisfied and secure in His care. Jesus, You are my Good Shepherd, I want to be content today and grateful to You for all You do for me and for what You have prepared for me today. A weekly review from my point of view. Last weekend there was a Bible Festival in the Vermanis Park in Riga. 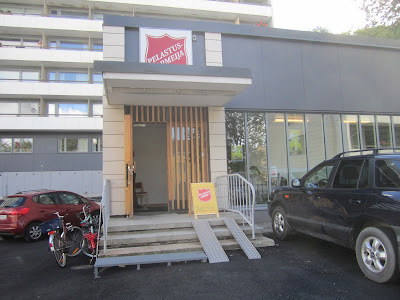 The Salvation Army was present with an exhibition tent. The officers and cadets from the School for Officers Training were responsible for our tent. Ruth and myself were able to participate but we got the reports that it was a great event with lots of new contacts and good talks. 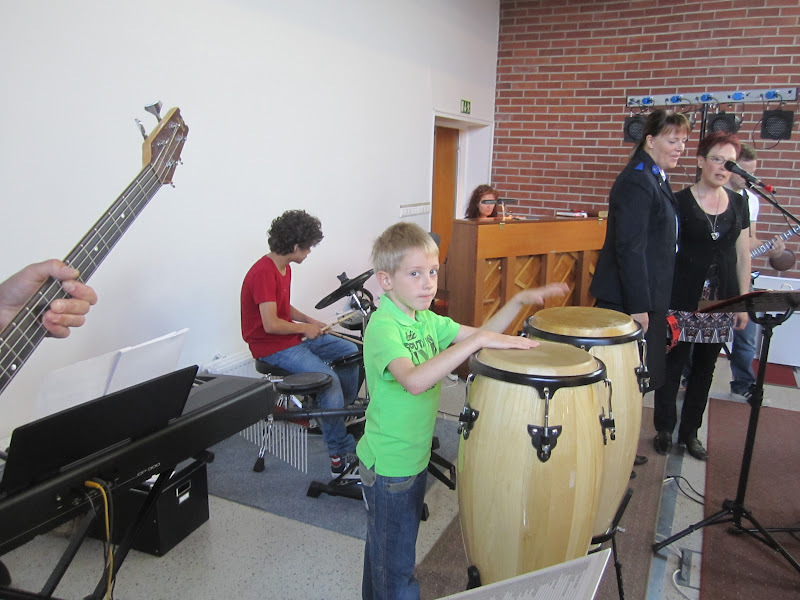 Here you can see more pictures from the Bible Festival. During the week I also received pictures from an open air meeting in Drusti. Drusti was an outpost for some years and became a corps in March this year. You can find more pictures from the open air service here. The coming week we will host the NLDI-course in Riga (NLDI= Nordic Leadership Development Institute). 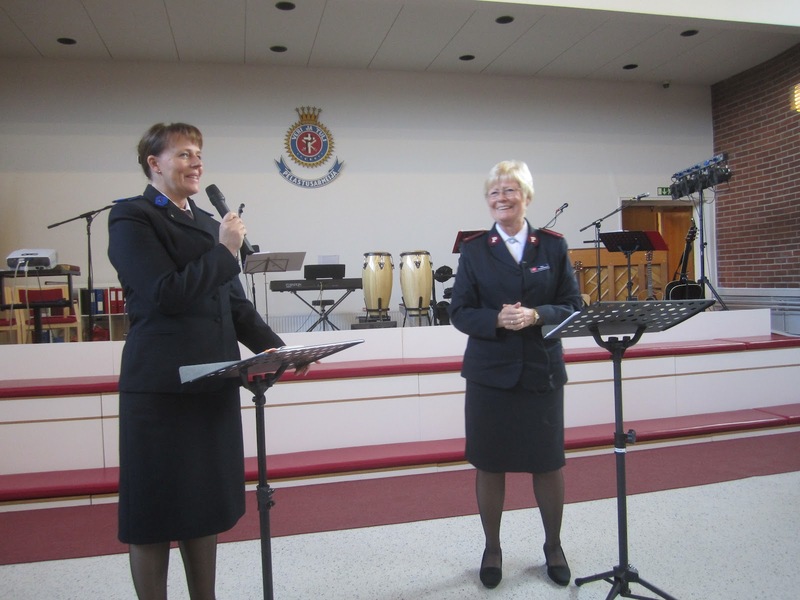 NLDI is a two year leadership training program for officers in the Salvation Army. The participants meet one week every semester and the rest of the time they do their work on internet. Ruth is in the leadership team for organizing these courses. The participants come from Norway, Sweden, Denmark, Finland, Estonia, Latvia and from the Eastern Europe Territory. . All seminars and lectures are in English an Ruth and myself will teach on "Deeper Spiritual Life". Were are going to have an intensive week. I hope it will be a blessed week for you. Last weekend we were leading a Bible Conference in Turku, Finland. The Theme for the conference was "You shall receive power!" Friday evening Ruth was speaking about thirst and longing. Saturday we had two seminars about gifts, spiritual gifts and gifts of ministry. Saturday evening we focused on the theme "You shall receive power! ", and many people came forward to the prayer wall decorated with the promise expressed in the theme of the conference. Sunday morning we spoke about what we shall do with the power: "But you will receive power when the Holy Spirit comes on you; and you will be my witnesses in..."
The corps Hall was decorated with the theme for the weekend "You shall receive power!" 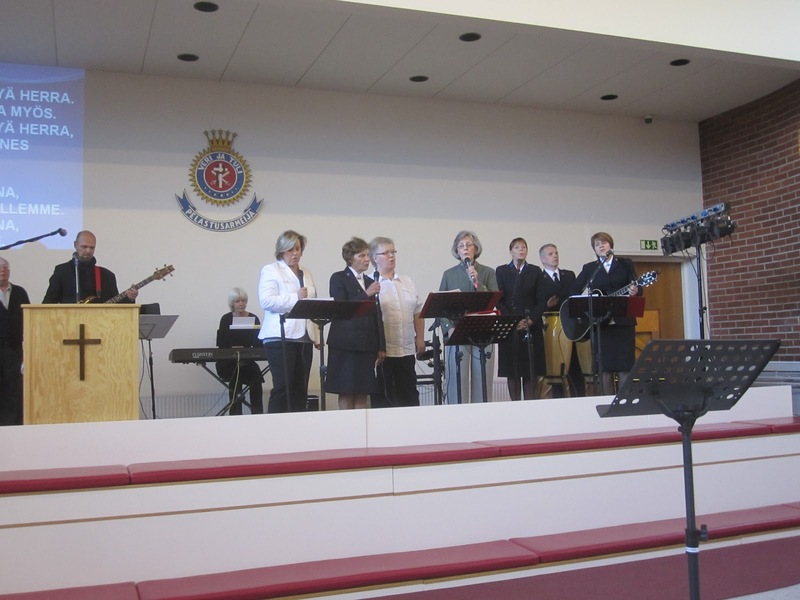 Saturday, this weekend, The Salvation Army in Latvia participated in a Bible Festival in the Vermanis Park in Central Riga. And now, another week, and I pray it will be a blessed week for you. Weekly review from my point of view. 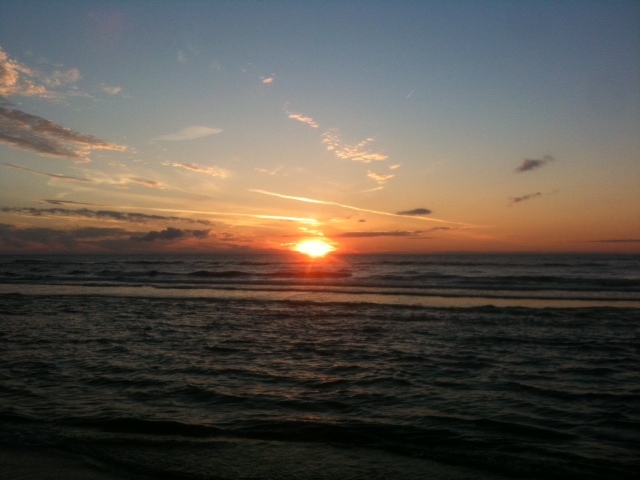 This week started with Leaders´days in Liepaja on the west coast of Latvia. Our 30 Leaders´ were gathered for two days of information, sharing and praying. Half way on the way between Riga and Liepaja we stopped in Saldus for coffee and to pray for the new corps planting in that city. 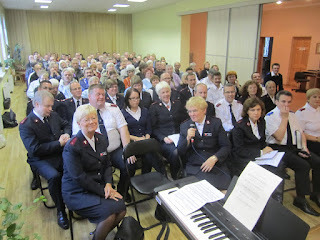 On the Monday evening we had an open air meeting in Liepaja and after that a public meeting in a nearby Baptist Church. 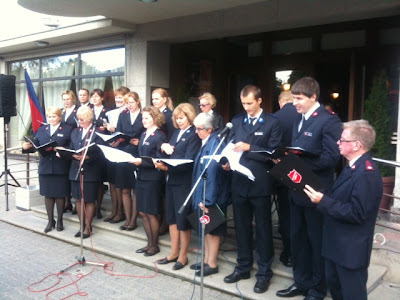 "Yesterday at four o’clock in the afternoon near Liepāja’s Latvian Culture House a number of Salvationists gathered together. 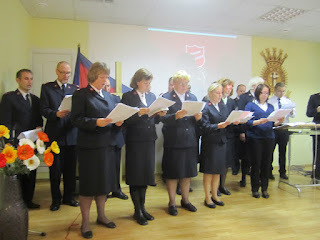 “We have guests,” happily said the leader of the Salvation Army corps in Liepāja captain Velta Udarska. Representatives from all 11 corps in Latvia had come to Liepāja to participate in the open air meeting. “This open air meeting is organised in order for us to talk with people about God,” to the Kurzemes Vārds said Velta Udarska. In the meeting that lasted for half an hour there were Christian songs in Latvian, Russian and English, as well as testimonies – people that are active in the Salvation Army were sharing their experience, and the ways they came to God. “You know, in this time when so many people are having hard times, when they lack the means of living, when people are desperate, when many people leave their country, and families are destroyed, God is the one who helps a person to see the true values and to keep a bright look in this gloomy world,” says V. Udarska. After the meeting all people that were gathered were invited to join the worship service in the Pāvila Baptist Church. But meetings in the Salvation Army Liepāja corps take place every Sunday at 11 o’clock in Rīgas iela 26 (entrance from Tirgus iela)." You can see a lot of pictures from the Leaders´ Days here. Right now we are in Turku, Finland leading a Bible Weekend with the theme: "You shall receive power!" I will come back with a report from the weekend in Finland later next week. Until then I pray that you will have a blessed week. "You were born to be free"
It is September. Autumn is here. This morning when I looked out through the window I saw that the leaves on the tree across the street had started to turn brown. Some brown leaves had already fallen down on the parking lot. Ahead a busy week is coming up. 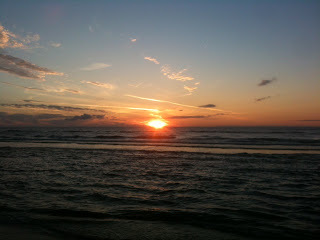 Monday and Tuesday we will go to Liepaja on the west coast with all our thirty Leaders for a Leader´s Conference. We are going to speak about Salvation at the conference. That is the theme for this semester. 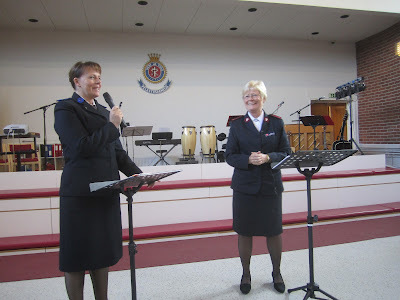 We are called The Salvation Army and I pray that we will keep being what we are called. 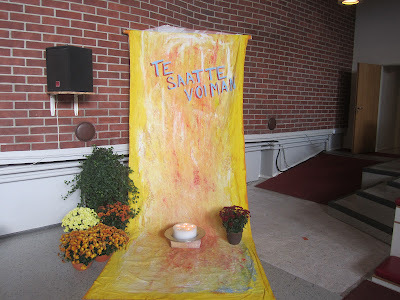 In the end of the week we will go to Åbo in Finland to conduct a Bible Weekend. They have chosen a great theme for the weekend "You shall receive power!" I also pray that the weekend will become what it is called. 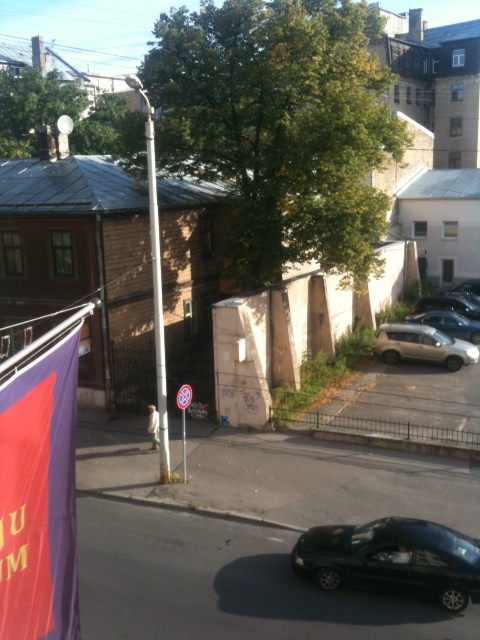 Now it is Sunday morning and soon time to go down to the morning service at Riga First Corps. And after that a new week is around the corner. Daily Musings for Simple Living will from September 2012 be published daily in a seperate blog. We also plan to print the book in English before Christmas. Maybe a good option for your Christmas gifts. - Jonathan Evans in Journal of Aggressive Christianity - "The Community of God has always existed to be a “light to the world” and the “salt of the earth” (Matt 5: 13-17). Wesley viewed the church as a "… body of men compacted together, in order, first, to save each his own soul; then to assist each other in working out their salvation; and afterwards, as far as in them lies, to save all men from present and future misery, to overturn the kingdom of Satan, and set up the kingdom of Christ. And this ought to be the continued care and endeavour of every member of his church; otherwise he is not worthy to be called a member thereof, as he is not a living member of Christ." - "I am not convinced that the problem is with men and women compartmentalizing their church life from the rest of life. I fear that the issue is much deeper. The issue is whether the men and women who attend church truly have Jesus as Lord of their lives. All three Synoptic Gospel writers record Jesus saying, "If anyone would come after me, let him deny himself and take up his cross and follow me." Denying ourselves and following Jesus at work, at home, in the neighborhood and at church will make us Christlike wherever we find ourselves."